If you own a shop or store then you owe it to yourself to read this page. Your window display, if used effectively, can bring you new clients, can enhance the image/brand of your business, can create customer loyalty, can promote certain lines of products and, above all, can be a major tool in increasing your sales. 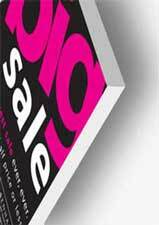 Did you know that 50% of all purchase decisions are made on impulse? In other words, half of all decisions to buy are made when the consumer is out shopping. When people are looking in your window there is, therefore, a massive opportunity to influence whether they purchase from you or from someone else. When you get them to enter, that's where the fun starts - using the power of displays, signage, movement, interactivity, lighting and colour you can really increase your sales. Take the ideas from this page and incorporate them a few at a time. See what works for you and always look for continual improvements. When you are ready, come back and dip into this page for more ideas. 1. What would you like to achieve? Success is in the planning. An old quote says "if you fail to plan, you are planning to fail". Remember that investing in the right system can have a massive benefit in helping to increase your sales. You may find it helpful to make a list of the objectives you hope to achieve with your window display. Your window display is an incredibly important tool for growing your business, so you really must allow sufficient time to plan it properly. Set aside a specific time in your calendar or day planner to allow you to think the whole display through properly and make plans. Who else do you need to involve in this planning process? Who else would have really good ideas? Using "other people’s brains" is a well-known cornerstone to success. Go outside and have a good, hard look at your window from a customer's point of view. Is it well laid out? Is it well lit? Is it inviting? Is there anything to attract your attention? Would it make you want to go inside? Ask one or more of your customers to join you and find out what they really think. Ask them how they think the display could be improved. If you are using designers or storefitters to refit your premises, make sure they give sufficient importance to the window display. This is one area that is often overlooked or minimised. The window is YOUR tool for increasing business. Take responsibility for getting what YOU want. Give your designer or storefitter a copy of this booklet when you are at the planning stages of the project. Make sure you allocate sufficient funds to achieve what you want. Window display systems do not need to be expensive but it may be well worth the investment to shell out for a system that will do everything you want it to. Investing in the right system can have a massive benefit in helping to increase your sales. Imagine you are walking down the street. You walk down that same street every day, past that same row of shops. Do you notice what is in the windows? Suddenly something attracts your attention and prompts you to enter the shop. What has made the difference? Probably, something has changed. Something is different from yesterday and it is this change, even though it may be quite subtle, that has attracted you. It is what has caught your attention and caused you to take action. However, if there had been no change, you probably would have walked right by. 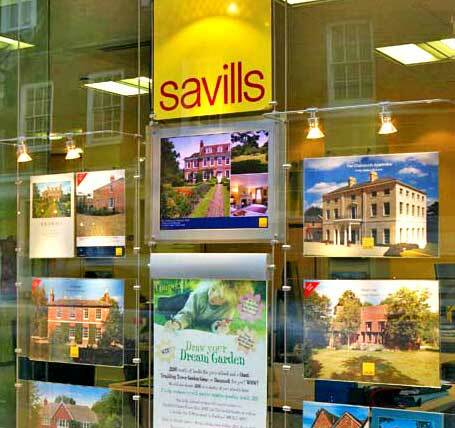 To catch the attention of your customers or prospective customers you must change the windows regularly. The change does not have to be major or expensive - even small changes are better than no changes. So decide to change something on a regular basis. Put a regular date in your calendar or agenda and take some action. Lighting could be the one key factor in helping you to increase sales. Did you know that research has shown that, when you add lighting, it can increase sales by up to 107%? Yes, simply adding lighting could more than double your sales. The reason is that lighting attracts the eye and draws attention to the display. If 50% of all purchases are made on impulse then that must be your primary aim. A poorly lit display will seriously spoil all the hard work you have done in creating the display in the first place. Consider the effect you want from the lighting - the general overall level of light, highlighting specific objects or areas of the window etc. Also, remember to consider colour and movement. Lastly, in order to create the effect you want, take advice from a specialist display company - a regular electrician may not have the specialist knowledge needed. Studies by POPAI (Point of Purchase and Advertising Institute) have shown that displays with motion can increase sales by up to 317%! Nothing attracts more attention to a window than movement. There are many ways of achieving this, such as: animated figures, props or mannequins, items on turntables, moving signs, scrolling banners, lights moving or changing colour, computer displays or video projection. Sit down and see how many ideas you can come up with. You will surprise yourself. There are many things that can be done, even on a limited budget. You may wish to allow your customers to interact with your display from outside. This is guaranteed to catch and hold their attention. There are many "devices" available which work through the glass of the shop window without any holes having to be made. These range from movement detectors that will detect when anyone passes near the window to touch-sensitive systems. Almost anything can happen as a result - from flashing lights, sounds/music playing, advertisements, videos, marketing information and even systems which will allow customers to purchase goods when the shop is closed. If the customer has registered with the shop in advance, using a "smart card", allows personalised, one-to-one marketing messages to be relayed to him/ her, together with the ability to make transactions. Reducing costs of digital systems now put this within the range of all. Contact one of the specialist suppliers available and find out for yourself the dramatic effect this can have on your business. Displays do not have to be flat. Think about using not only the height and width of the window but also the depth. In other words, make your displays three dimensional. Even if you are just displaying posters, they do not have to be in a straight line. Staggering the displays or putting them at an angle will make the display more interesting. If you have room, why not add some depth to your own window display? Displays do not have to be set in a straight line. Consider making your window more interesting by setting displays at an angle. High items could be angled down and low items angled up. This would make them much easier to see from the customer’s point of view. You could also consider angling items towards the left or right. If most people seem to be approaching from a particular direction, this may be extremely important. When ordering your display, make sure that the system will allow you to angle your displays in just the way you want. The days are long gone when it was the practice to have a backing to the window and hide the view into the store. Now it is generally agreed that the appearance of the shop should be inviting in order to encourage customers to enter. If you are going to have a window display keep it, therefore, as transparent as possible. There are many display systems available to help with this process, the primary being the use of very fine cables suspended from the ceiling and fixed to the floor. These, together with the use of transparent acrylic accessories, can be used to display just about any kind of product or poster/graphic display with lighting incorporated. When designing your window display bear in mind the view into the shop. Keep the fittings as minimal as possible. The impact of your window display will be far greater and customers will get an idea of what further treats may be ‘in store’ for them when they enter the premises. As mentioned in an earlier tip, it is essential to change the window display on a regular basis. 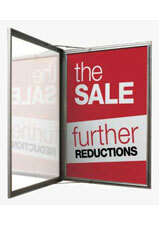 When designing a window display, it is therefore important to consider just how easy it will be to change the display. If it is too difficult the staff will just not bother and the impact will be lost. If you are going to radically change the display will you be left with empty screw holes in your ceiling and floor? An alternative is to use a system perhaps based on a rail which allows easy repositioning of the displays. If you have posters or graphic information to change on a regular basis, this should ideally be possible without the use of any tools. After all, time is money, and it just does not make sense for your staff to be wasting their time with systems that are difficult to change. Make your window display systems as easy as possible to change and make sure that the displays are changed as often as possible. When designing your window, remember the person who has to come and clean. It is important that your displays always look at their best, so you really do not want them damaged. Either leave enough space for the window cleaner to gain access or design your display in such a way that it can be easily removed when required. When designing your display, consider the person who is going to be looking at it. If you want your display to get noticed, then don't force people to get on their hands and knees or stand on tip toes. Make it easy to see and take in at a single glance. 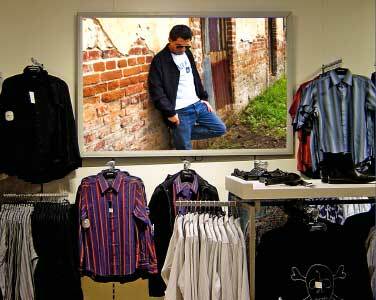 To get the best results, position your displays at eye-level. Remember, children and women are usually shorter than men, so you may want to position the displays lower if either of these are important to you. A window display is not a separate thing. It is part of your whole corporate image. When designing, you should therefore consider any corporate colours, styles or logos you may wish to include. Consider using an expert designer or your display equipment supplier to help you portray the right image. Did you know that including a message of some type with your display will increase its effectiveness by 53%? But what is the message you want to get across? This should really be your first consideration when thinking about your display. Are you after new customers? Do you want people to take some action e.g. purchase a new product or service? Get advice from a professional company to make sure your message is seen. Sticking things on the window not only looks extremely tacky, but also puts across an image of amateurishness. This is fine if that is your image. Most people however, would prefer to provide an image of efficiency and professionalism. There are display systems available which allow you to easily suspend the information, change it quickly and ensure that it is displayed in a visually attractive and eye-catching way. Find out about suspended display systems using cables or rods which will provide the perfect solution for you. Time is money and maintenance is not only hassle but is also extremely expensive. The purpose of any display is to enable you to get your message across. If the system you have chosen lets you down, this could result in the loss of valuable sales. And don't forget the cost of your own time and the expense of getting the repair carried out. Keep the design simple, make sure you buy from a company that offers a guarantee and has spare parts available. Even better, buy a system that just can't go wrong. Do whatever it takes to really be seen. It is essential that your message stands out from the crowd. Be creative, use movement, use lighting - just get noticed. Get into the habit of looking at what others are doing - and not just from those in the same line as you. The best ideas will come from the most unexpected places. Unless you want your window display to look like it was designed by an amateur, get some help from a company who knows what they are doing. Many companies will design your window for free if you purchase the system from them. If you don't want to buy a new system find a professional designer to help. Your window is an important advertising space. If you want to be seen by people on the other side of the road or those driving by, make your graphics as big as possible. Get advice from a professional graphics company. You will be amazed at the result. Did you know that colour accounts for 60% of the initial impression? If it's that important, you owe it to yourself to make sure that you use the correct colours. Certain colours will help you stand out from the crowd. A professional display company will advise you on the colours you need to use to create the correct impression. This could be one of the goals of your window display. Is your name clearly visible to people looking in the window? If you want to get your name remembered, make sure it can be clearly seen along with your logo. Stop and think about how you can feature your name or logo in the display. One of the main goals of your window display has to be to get more people to enter your store. 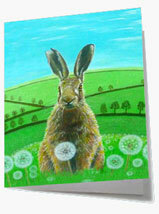 One way to achieve this could be to provide information about a special offer which is only available today. By making the offer time limited you will encourage people to take the decision to enter there and then. If, for example, it is a sale which runs until the end of the month, they may put off coming in now and, as a result, may never enter at all. Remember to remove the offer at the end of the day. If people see the same offer there day after day they will lose trust in you and all your good work will be wasted. Your window display is not only for attracting people walking or driving by. It also can play an important role on the inside. But consider the objectives - they could well be different from the ones facing the street. On the outside, the objective may well be to attract attention and encourage the person to enter. On the inside you may want to direct people towards a special product. This is an important area. Plan it just as carefully as the external display. 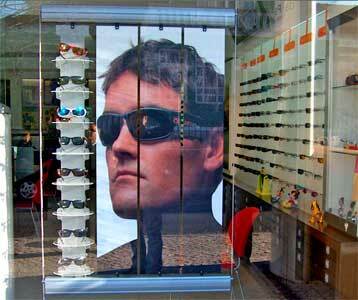 Many window display systems are double-sided and will automatically allow you to do an internal display. 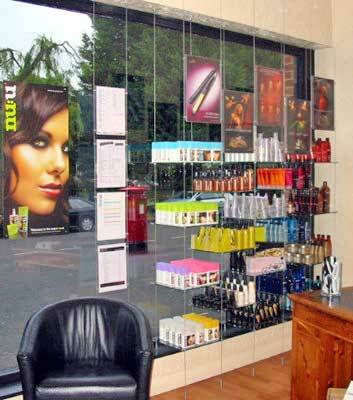 Make sure you inform the supplier of your window display system of this requirement. Depending on the design of your store, the window may be an important source of light for you. If this is the case, use a display system that will not block out the light. 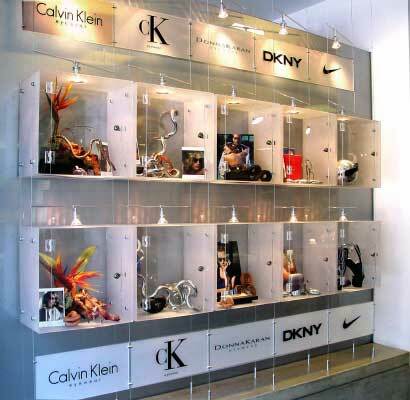 Many display systems are made using very light and almost invisible materials such as fine cable. Your window is important - but so is what is happening inside. Don't block your window so much that it is not possible to see the inside of the store. If you want people to enter your store (and why wouldn't you?) let them see what it's like. Keep the window display light so that people can get a 'taster' of the many delights to be found inside. Once you have managed to persuade people to enter, they will feel much more comfortable if they can still have some connection with the outside. As the saying goes "let them see the light". When designing the display always imagine the view from the inside looking out. Good lighting has been proven to increase sales. This is a simple, yet very effective, way of creating an impact. Lighting can be used to create a mood by using colours. Create attention by making the lights move, flash or strobe. Use lighting controllers to help you create just the effect you are looking for. This is a specialised area so take advice from a company that knows what it is doing. Think through your ideas and know exactly what it is you want to achieve. This will save you masses of time when dealing with your supplier. 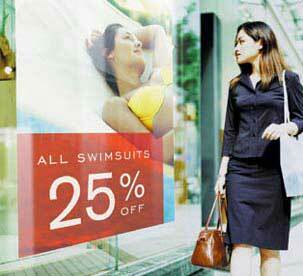 You can really boost your business by being aware of any special occasions and adapting your window to suit. People look at what they are focusing on. So, if their focus is Christmas be sure to catch their attention. Use the many different types of props that are available. Be creative - you can really make your window stand out from the crowd. You can make a big impact with small objects. In order to display small objects and get them noticed, you can use small shelves suspended at different levels. 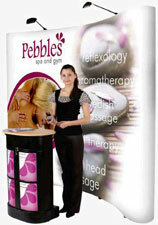 This ‘floating effect’ will attract the eye of customers and really draw attention to these displays. Suspended cable systems are excellent for this type of display and for focusing attention on small products. In certain businesses security can be an important issue. There are many ways of making your window display secure. One way is to put a backing to the window. If you use acrylic, this will not block out the light and will still allow the display to be transparent. You will, however, need to be consider the question of access to the window for changing the displays or for cleaning the window. Another solution could be to use suspended acrylic cubes or showcases. These allow the products to be reasonably secure, whilst allowing them to be viewed from all angles. It is important that you consider the level of security required when designing your display. Get advice from a company who understands the importance of this and how to make it happen. 35. Check readability from a distance. Who is the message aimed at - people walking or cars driving past? Think about who is going to read your messages and where they are when they see your window. If you are aiming at people walking past, the message you want to get across needs to be at around eye level and of a suitable size text that is easy to read without squinting. If you want to aim at people on the other side of the road, the message needs to be much larger. Larger banner type adverts may be suitable. If you want people driving past to get the message - think - can it be read in a one second glance? Test it out for yourself. 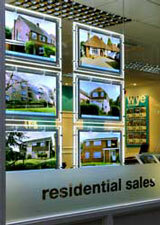 Does your display allow the message to be seen where and when you would like? Many successful stores have made their fortunes using this formula. However, this is not what most of us do. You do not need to fill every single inch of space in the window. Instead, put fewer items and allow the eye to focus on the main items or products. If you show everything you have in the window there may be no reason for people to enter the store. Instead, make people curious and you will be surprised at the result.